Teatru Manoel presents renowned pianist Charlene Farrugia and clarinettist Dimitri Ashkenazy performing the Johannes Brahms Clarinet Sonatas at the Museum of Archeology, Republic Street, Valletta, tonight at 8pm. The two Clarinet Sonatas by Johannes Brahms performed in this concert were composed during an extreme creative season, which appeared soon after the composer had decided that he would not write anything anymore. In 1891, Brahms met clarinettist Richard von Mühlfeld from whom, he discovered the secret possibilities of the instrument. Three years later, in the summer of 1894, Brahms composed the two Sonatas op. 120. These are his last chamber music compositions, still evidently inspired by Mühlfeld. We must mention that, after op. 120, Brahms composed only two other works before his death: the Vier ernste Gesänge for bass and piano, and the eleven organ choral preludes inspired by Bach. The second half of the concert will open with Debussy’s Première Rhapsodie. After Debussy took a position on the Paris Conservatorie’s Board of Directors, he wrote this piece as an examination for the school’s clarinet students. The result was a vigorous test of the clarinettists’ ability to project a lyrical singing tone and demonstrate command of technical challenges ranging from chromatic runs to trills and rapid changes of articulation. The other work on the program is Bernstein’s first published work, his Sonata for Clarinet and Piano, written between 1941 and 1942. 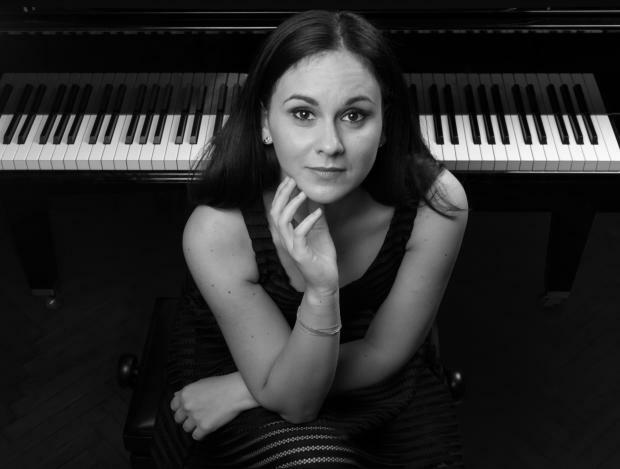 Charlene Farrugia is recognised as Malta’s leading and most successful pianist, appearing on major international concert platforms in recitals, concerto performances and in chamber groups, with partners such as Joseph Calleja and Ning Feng. Dimitri Ashkenazy has made numerous CD, radio and television recordings, and been invited to give master classes throughout Europe and in Japan, Australia and the US.